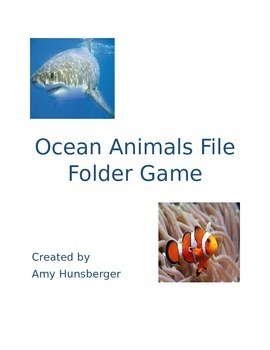 Ocean Animals File Folder Game can be used by your readers and non-readers. 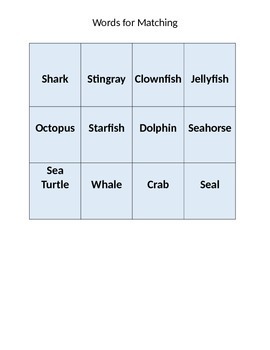 Your readers will match the name of the ocean animal to the picture of the ocean animal. 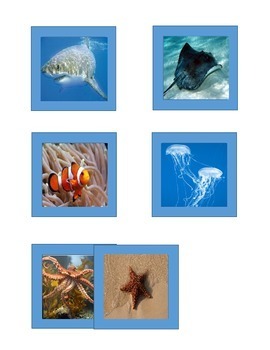 Your non-readers will match pictures of the ocean animals. File Folder games are a great independent activity to reinforce concepts and build independent work skills. Be sure to leave feedback for this purchase to receive TPT credits that can be used for future purchases!